Already know your product number? 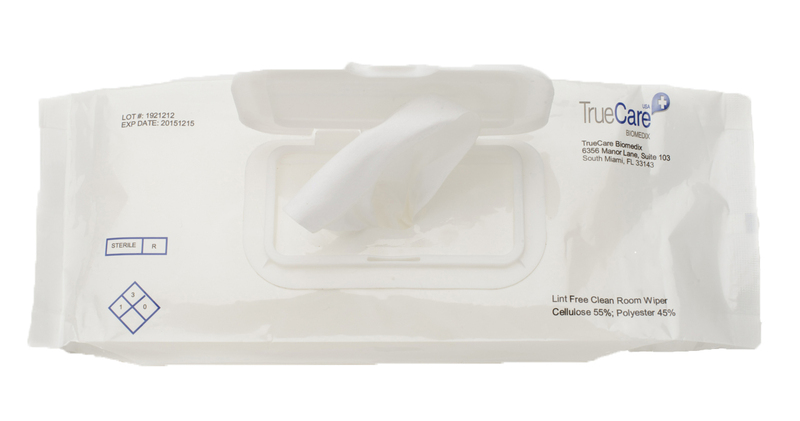 Our sterile isopropyl alcohol wipers are 70% saturated and lint-free. Composed of a 55/45 cellulose blend, each 9" x 9" wiper is 65 gm/sq meter, with 30 wipers per zip pack, and 24 packs per case. ©2002-2013 TrueCare Biomedix USA, Inc. All rights reserved.